Authorities combing an area near Lake Tahoe Sunday recovered a body believed to be the missing skier who was reportedly swept away by an avalanche Saturday, the Washoe County Sheriff's office said. 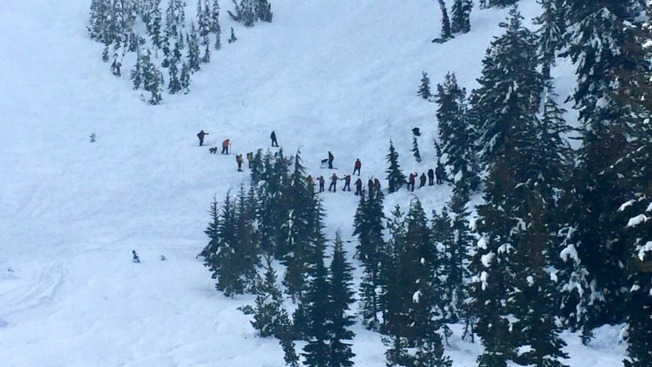 NBC affiliate KRNV reported that the missing skier, who was described as a 64-year-old man from out of the area, was trapped under eight to 10 feet of snow when he was found around 1 p.m. in a closed area near the Mount Rose Ski Resort. A team of 35 to 40 people along with search dogs were used during the two-day search, KRNV reported. The identity of the body found will not be released until an autopsy is completed and family members are notified.